London, June 2010. UK Gear, the Warwickshire based designers and developers of high performance athletic footwear and apparel, has won approval to supply advanced specification training shoes to the US Army. These specialised UK Gear running shoes, selected by the US Army, were designed and developed in association with the British Army. 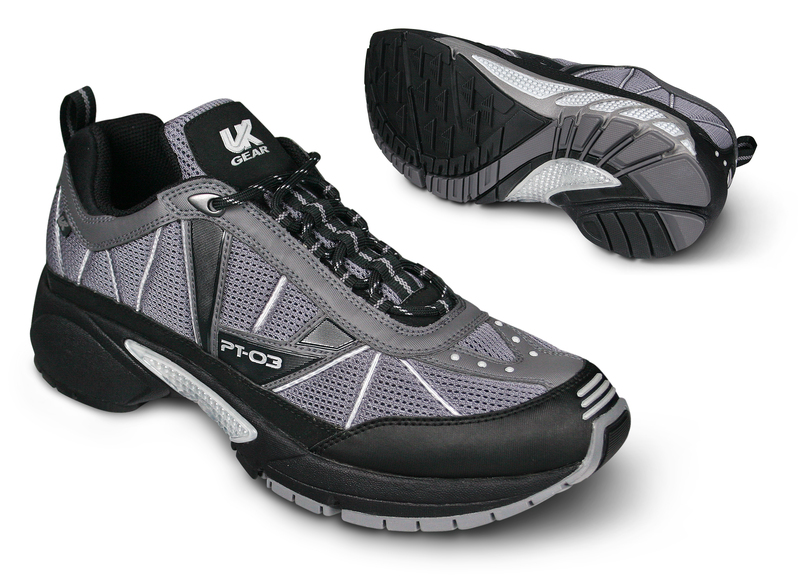 Over the coming year the UK Gear PT-03 shoes will be distributed across the US Army’s reception centres. “UK Gear shoes are a good product and ideally suited to the military environment. Their running shoes offer more quality and durability when compared to most available commercial brands in our price range. UK Gear is a privately owned company which has its headquarters set in the grounds of the 16th century Wolston Priory, Warwickshire in the UK, and has its US office based in San Diego, California. The company is increasingly recognised as a leading manufacturer of high performance athletic footwear and apparel and has built a powerful reputation as a pioneer in delivering increased durability in advanced sporting products. The range of product categories includes running, cross-training, hiking and off-road running, especially in extreme environments. With its high-specification training shoe, designed in association with the British Army’s Physical Training Corps, UK Gear has produced the first commercially marketed product to have earned the right to bear the British Army’s famous crossed swords insignia.